In this post, we will discuss how we can create a site workflow using SharePoint designer 2013 for SharePoint online site as well as we can see how we can use Initiation form parameters in that site workflow. 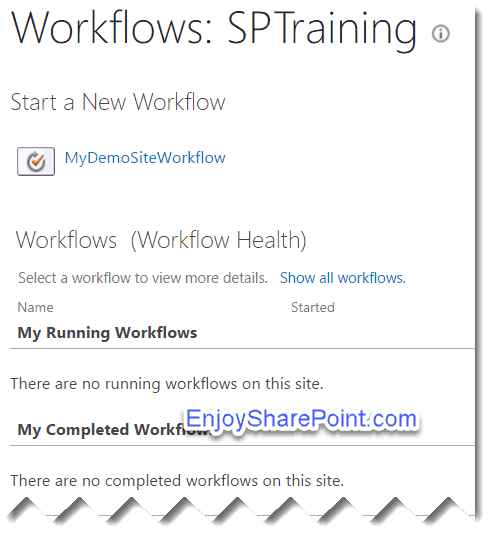 Site workflows are not bound specifically to any list or document library, but we can run on a particular SharePoint site. In this example, we will send a few users (which we will take from Initiation Form ) to participate in a quiz contest through a site workflow. If you are not seeing SharePoint 2013 Workflow Platform type, then you need to install workflow manager in SharePoint 2013. You can read an article on: Install and Configure Workflow Manager for SharePoint 2016 in Windows Server 2012 R2 Step by Step tutorial. – The first in the Transition to stage, Add a Go to a stage. – Then click on Add… button which will open the Add Field like below. Give a field name and Information type Person or Group. Then click on Next. 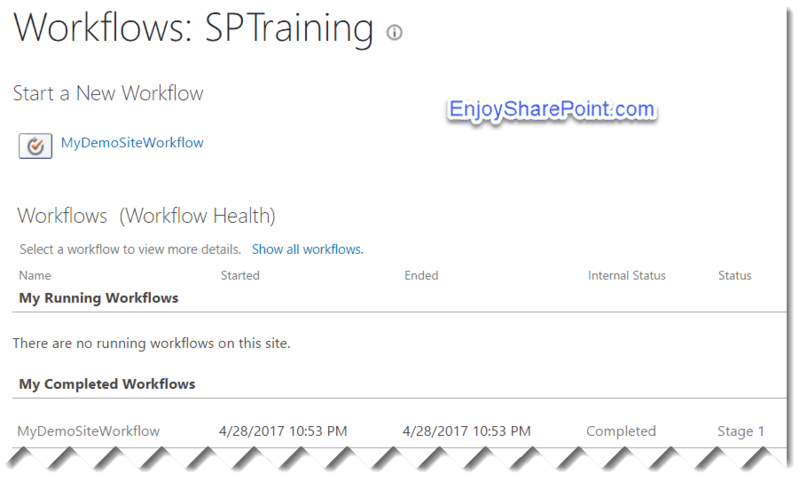 Now publish the workflow and the workflow will be published to the SharePoint online site. Then you can click on the Start button to start the workflow. This will start the workflow. 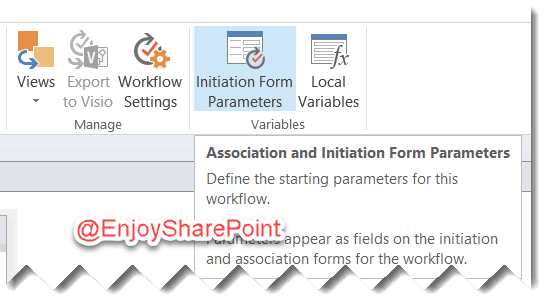 Hope this SharePoint workflow tutorial explains, how to create a Site Workflow and Initiation Form Parameters example using SharePoint designer workflow in SharePoint Online/2013. Next Article How to retrieve term store data using .Net managed object model in SharePoint Online?